Another Spirited Novel By The Bestselling Amish Author! There's horse trouble in Montana again in this second installment in Amish author, Linda Byler's, series, "Sadie's Montana." Someone is shooting horses and Sadie is determined to find out who it is. That is until she begins to suspect that Mark, her boyfriend, may be involved. Will Sadie discover the truth? Will it be too hard to bear? There's horse trouble in Montana again. Only this time, horses aren't being stolen, they're being shot. Snipers are driving a blue pickup and shooting selectively. No hard-working ranch horse or Amish horse and buggy is safe. 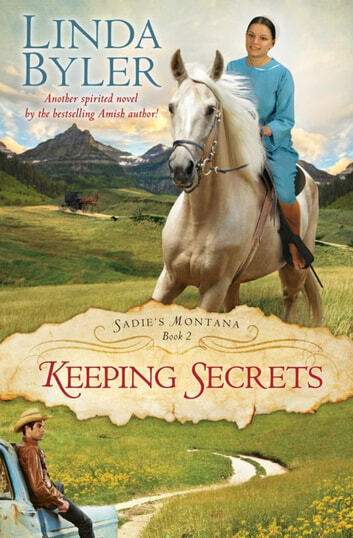 Still, Sadie rides, despite daily warnings from Dorothy down in the kitchen of Aspen East Ranch. But Sadie's getting used to ignoring Dorothy's advice. Sadie's heart is set on Mark even though Dorothy tells her to steer clear after he ditches her in the middle of their first date. Then Daniel appears-a visitor from Lancaster County. With cornflower-blue eyes and a strong, square jaw, he is everything that Mark is not. He's funny, well-mannered, and completely dedicated to his family. Mark, on the other hand, finds it hard to tell Sadie the secrets of his past. He tells her pieces of the shadowy story, then won't speak to her for weeks. Sadie's troubles continue at home when she discovers that her youngest sister, Anna, is struggling with bulimia. As Sadie's world spins out of control, her palomino, Paris, remains her sole confidant. But does Sadie put Paris in danger every time they go riding? Or, together, can they discover who these mysterious snipers are? Will Mark help her? Or is he one of the horse-hunters? 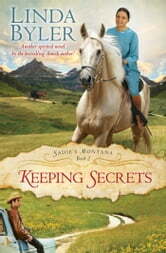 Why, Sadie wonders desperately, are there so many secrets? Will the truth surface, or is it too hard to bear?